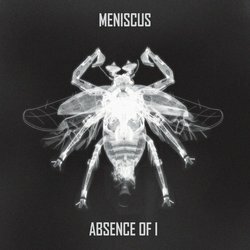 Underground instrumental rock legends Meniscus have been hypnotising audiences across Australia and Europe with their lush soundscapes and intense live show since 2005. The band consists of guitarist Dan Oreskovic, bassist Alison Kerjean, drummer Cam Brennan and visual projectionist Marty Wong. Blending the sensitivity of Sigur Ros with the moody technicality of King Crimson, the band has earned a loyal international following. Their records 'Absence Of I' and 'War Of Currents' have cemented the band as one of Australia's most successful post rock exports. In 2012, following a successful Australian tour, the band embarked on their first European tour, including Germany's Fusion Festival and supporting post-metal titans Rosetta in Poland. Having shared stages with acts as diverse as Dead Letter Circus, The Crooked Fiddle Band, Closure in Moscow, sleepmakeswaves, Floating Me and The Red Paintings, Meniscus are a unique and potent live force. Known for their visceral performances and synched visual projections, the band have also graced the stages of the 2High Festival, Progfest and High and Dry Festival. With new material on the way and the recent re-release of their debut EP (featuring original drummer Duncan Wilson), Meniscus continue to attract considerable praise for their lush production and musicianship.